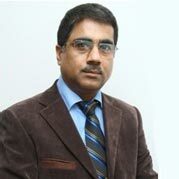 Dr. Arvind Khurana brings with him a rich experience of over 20 years in the various domains of gastroenterology. He has successfully performed over 75,000 Endoscopic procedures, including over 7000 cases of EPT & Biliary Stenting. Dr. Khurana routinely performs over 75 Pancreaticobiliary procedures every month. An M.D. in Medicine from Delhi University, Dr. Arvind Khurana has done his D.M. in Gastroenterology from G.B. Pant Hospital, DU in 1991. He is also a Fellow of the reputed Royal College of Physicians (F.R.C.P), Ireland. His areas of expertise include all kinds of metallic Stenting, foreign body removal, PTBD and pediatric endoscopy including in neonates. Widely known for his research work, Dr. Arvind Khurana has presented a number of papers including Vagal Nerve Dysfunction in patients with Corrosive Oesophageal Strictures, Foreign Bodies of Upper GI Tract – An experience of 161 Cases and Caroli’s Disease CT Evaluation. Dr Arvind Khurana is one of the best Gastroenterologists in Delhi with an experience of over 20 years. Prior to joining Fortis, Dr. Arvind Khurana was working as Sr. Consultant & Head, Department of Gastroenterology at Jaipur Golden Hospital. He was also attached with Rajiv Gandhi Cancer Institute & Research Centre as a Sr. Consultant. Won the best video presentation in 2008 in International endoscopy workshop in Hyderabad. Guest editor for Gastroenterology in JIMSA, April-June, 2008. MBBS. MD - General Medicine. DM (Gastroenterology). Fellow of the reputed Royal College of Physicians (F.R.C.P), Ireland.